Bump to baby fitness runs outside fitness classes at Elvaston Castle in Derby. 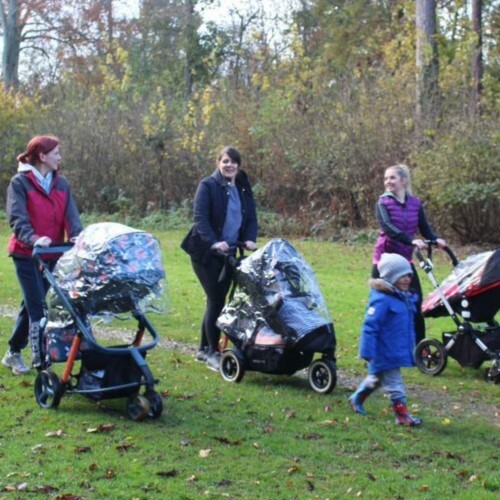 Classes are aimed at new mums as a practical way for them to exercise, socialise and have fun, all of course, with push chairs and toddlers in tow. The classes are designed for all fitness levels and are fully inclusive for your baby or toddler to enjoy alongside. In addition to the twice weekly classes held during the week, Bump to Baby Fitness run fun filled family boot camps at weekends. Get searching the back of your wardrobe for your trainers, find the next available class by clicking here and book a place using your Little Starts gift card.